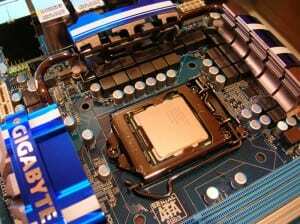 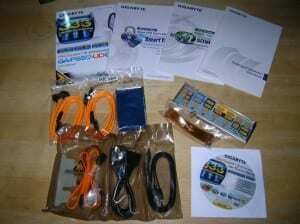 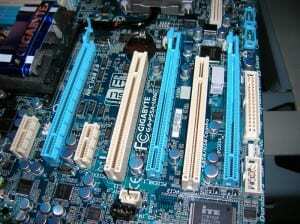 Gigabyte, as we all know, was one of the first motherboard manufacturers to roll out a solid implementation of USB 3 and SATA 3 in their products. 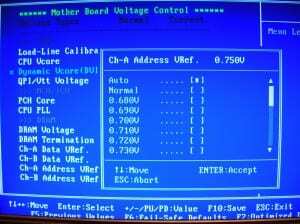 In fact, Gigabyte now has an “A” option for most of their products that identifies boards with those features. 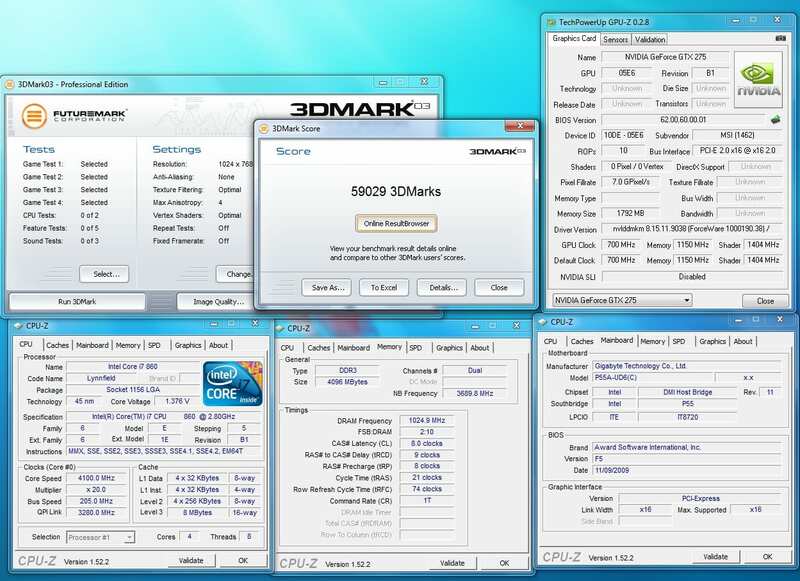 But since the devices capable of utilizing these higher speeds are still out of my reach, USB 3 and SATA 3 testing will be included in part 2 of this review. 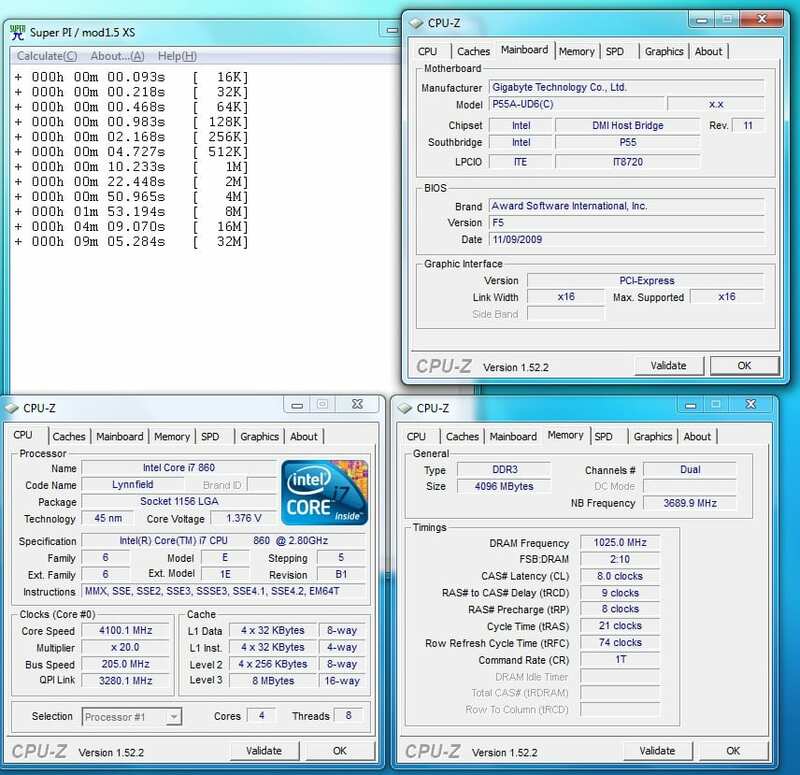 This part will focus on something I’m more concerned with anyway, and that’s overclocking performance. 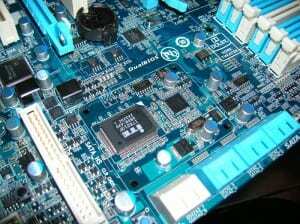 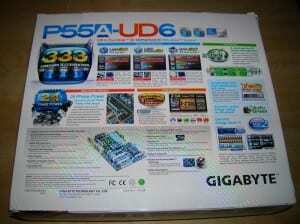 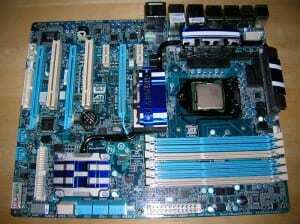 The board looks very similar to the original P55-UD6. 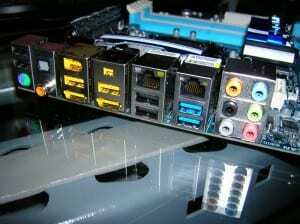 The obvious differences are the new features as illustrated by various decals; SATA 6GB/s, USB 3.0, etc. 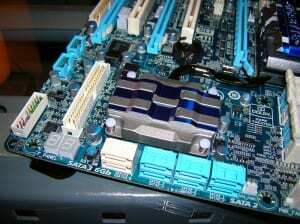 The chokes are also glossy on this board instead of flat black (or dark grey) on most boards. 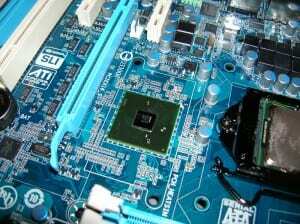 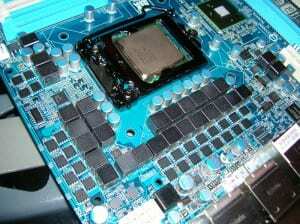 The P55A-UD6 also uses a LOTES socket rather than Foxconn. 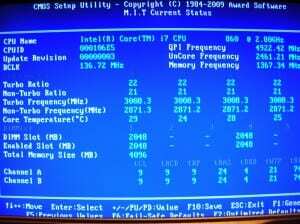 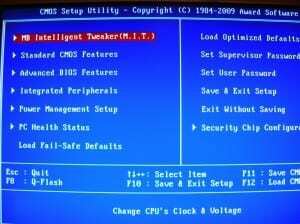 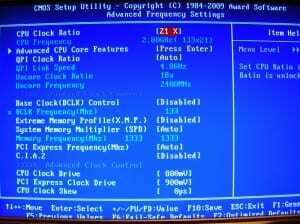 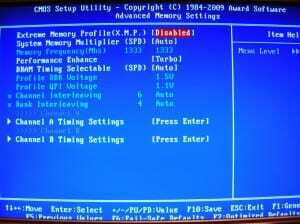 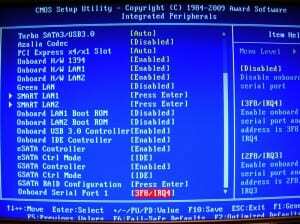 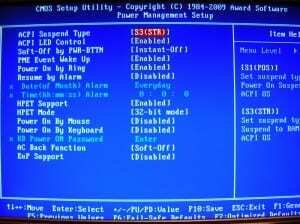 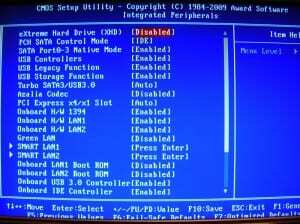 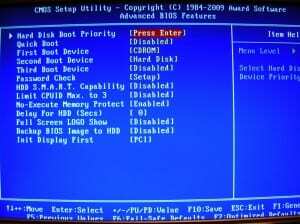 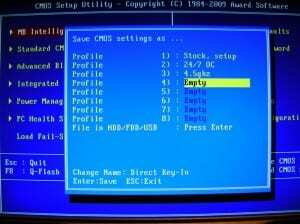 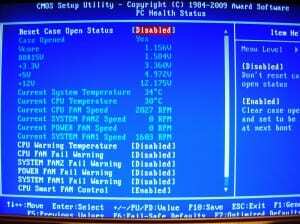 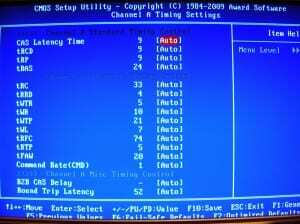 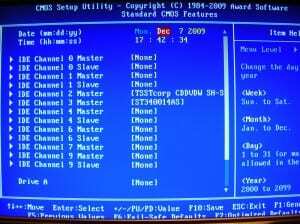 The BIOS should look very familiar, as it doesn’t seem to have changed a bit other than adding options to enable SATA 3 and USB 3.0. 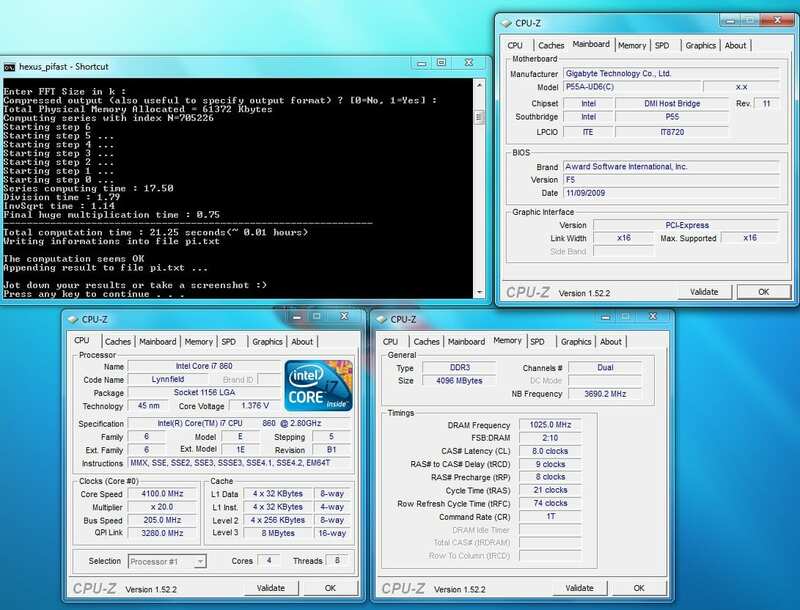 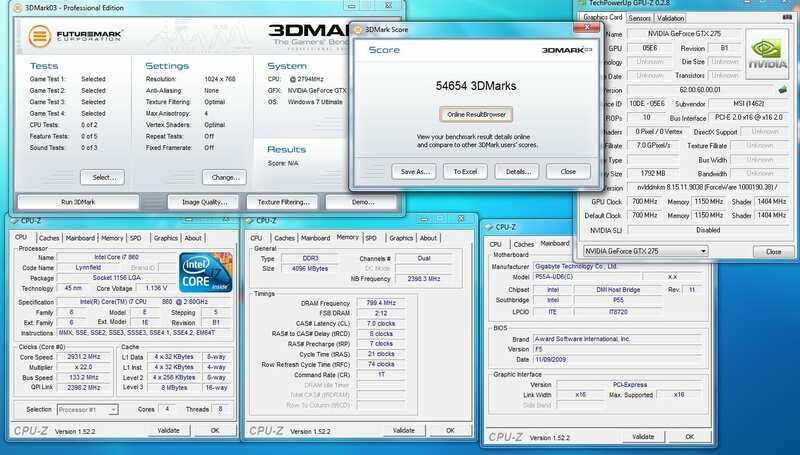 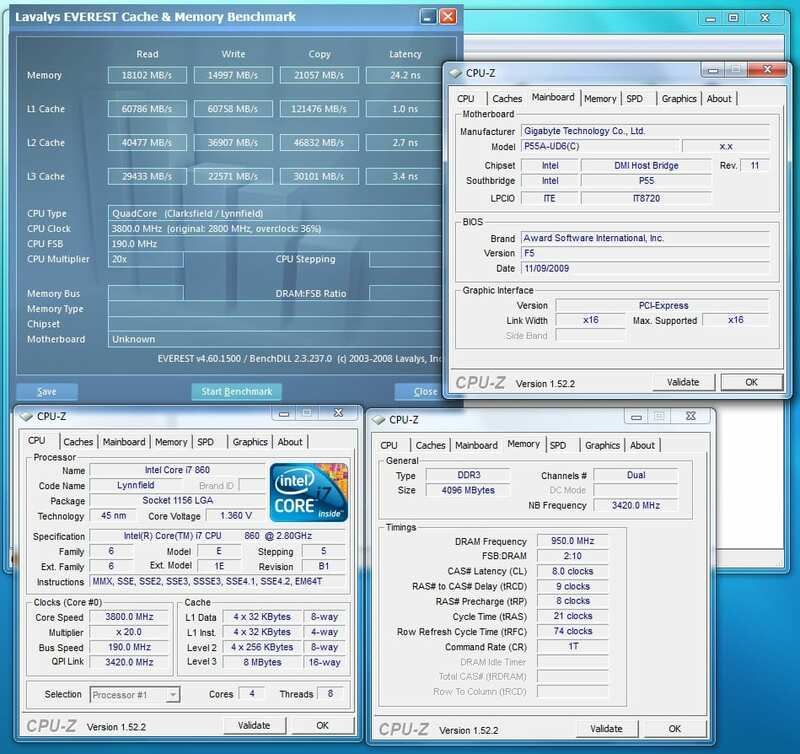 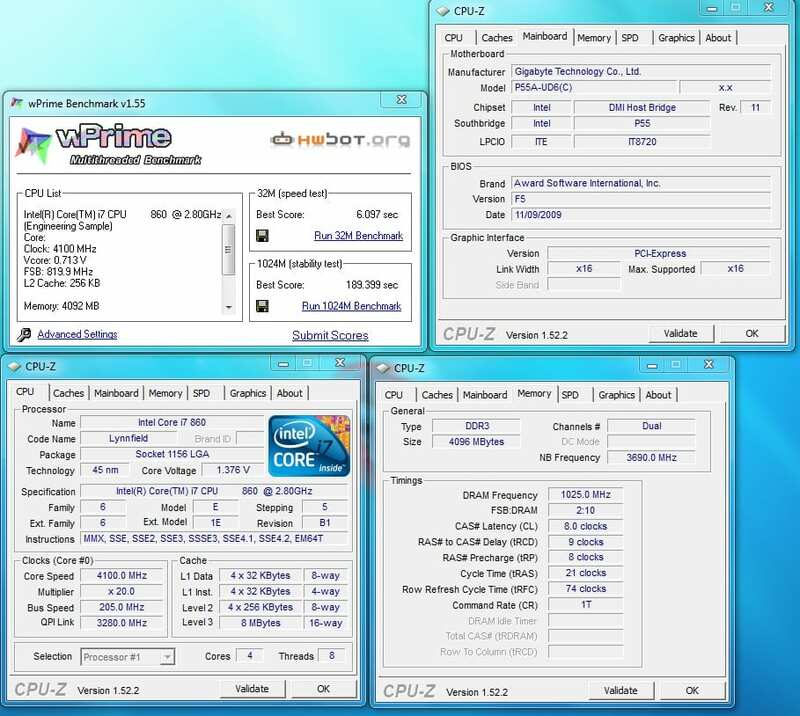 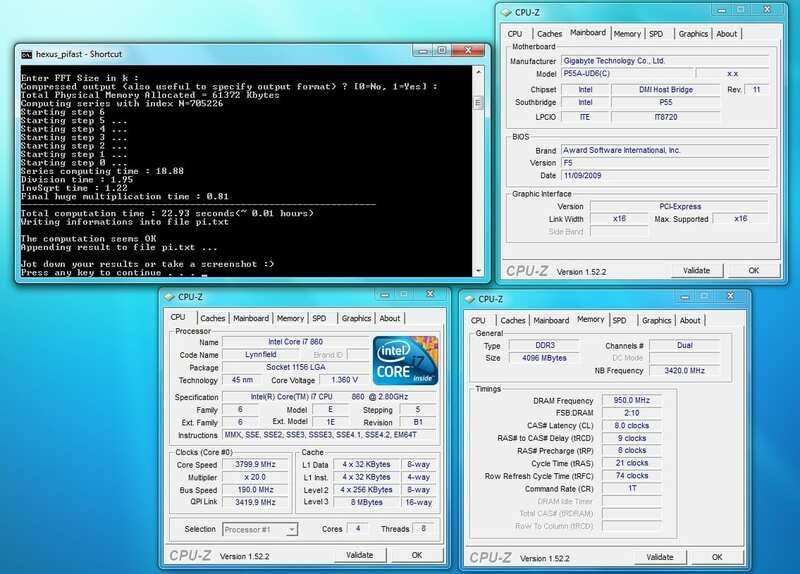 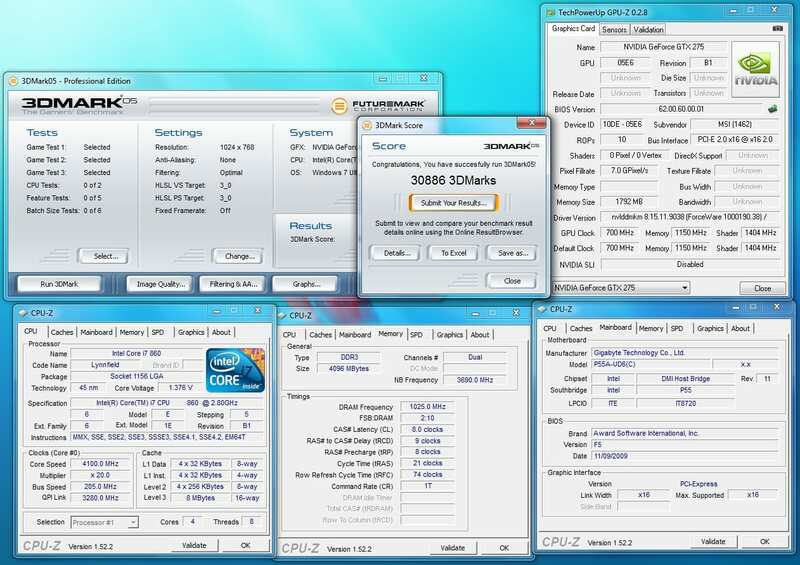 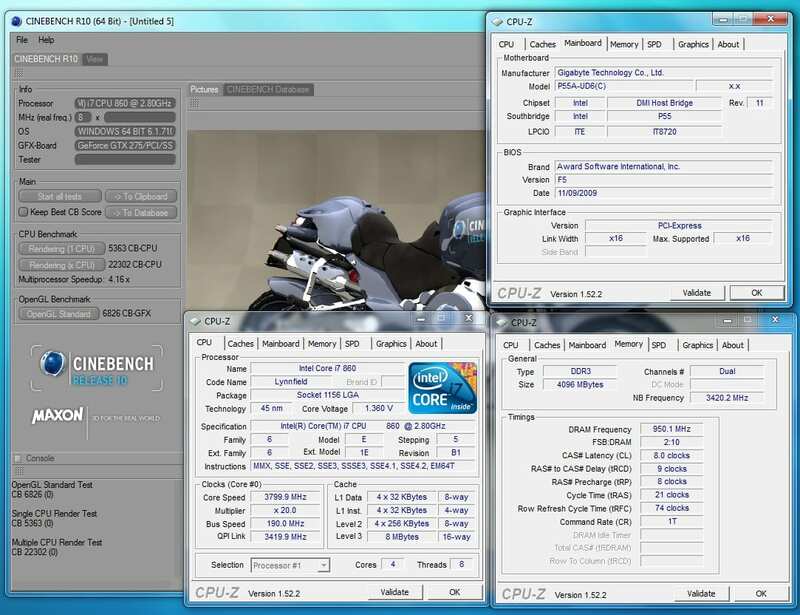 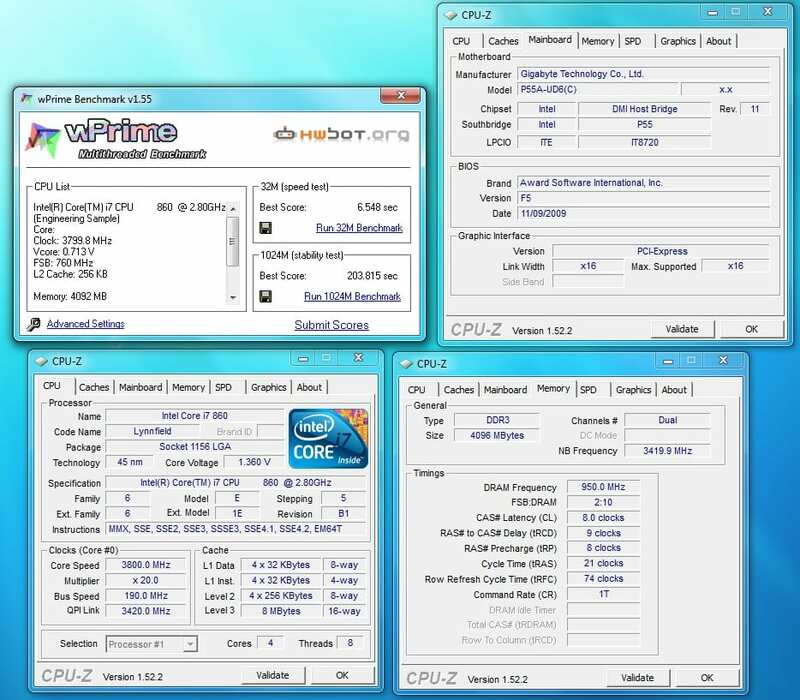 The following three rounds of benchmarks were all run at what I would call effortless settings, given proper cooling. 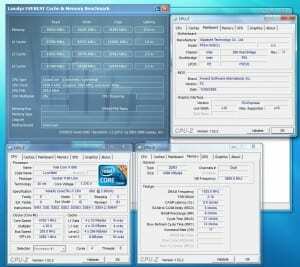 3800MHz is completely effortless. 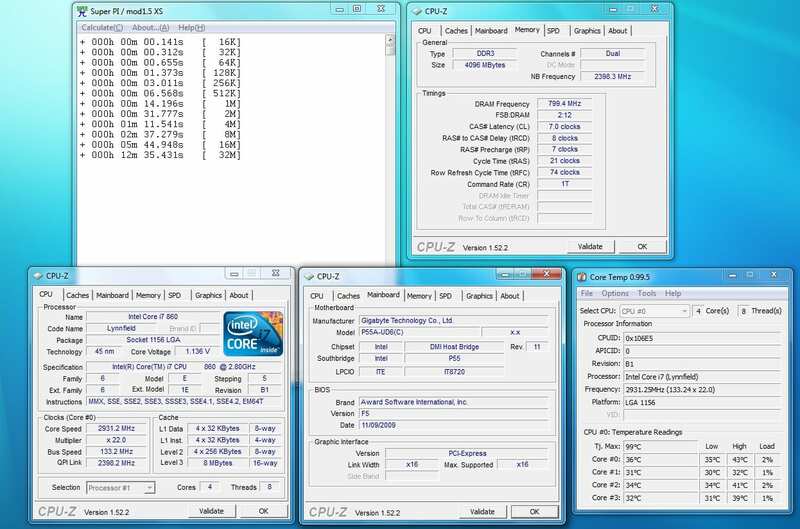 All benchmarks were rock stable, and though I don’t usually monitor CPU temps, the few times I checked all cores were running under 50° C at load. 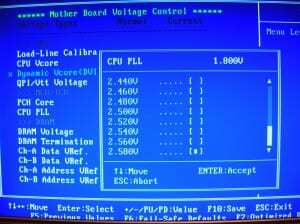 The settings shown were quick and dirty, and very little voltage tweaking was done. That being said, all voltages could no doubt be lowered quite considerably while maintaining stability. 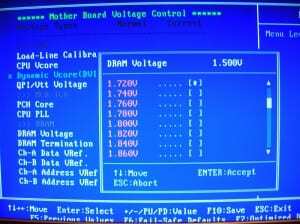 The only voltage setting that was probably exactly where it should be is DDR, at 1.68v (there’s not a 1.65v setting on this board). PCH voltage was set to auto, and vtt was around 1.3v. 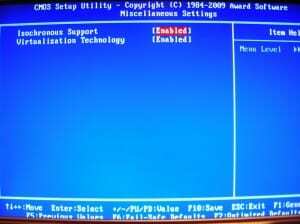 PLL was also at default. 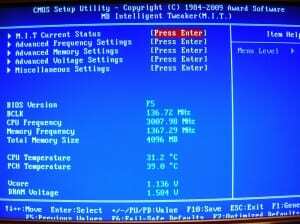 4100MHz was also very easy. 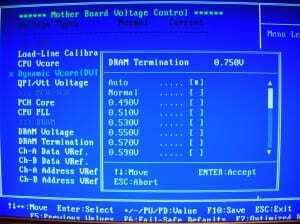 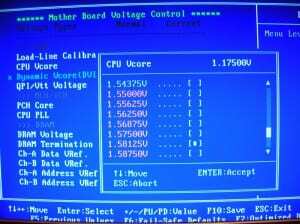 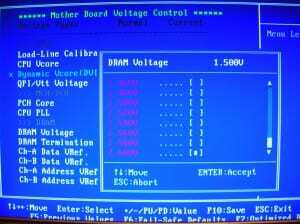 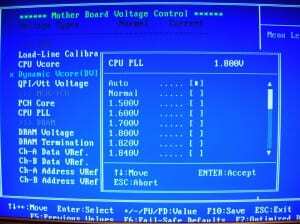 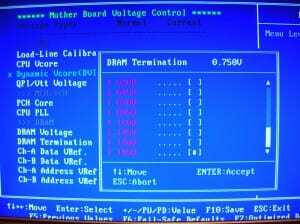 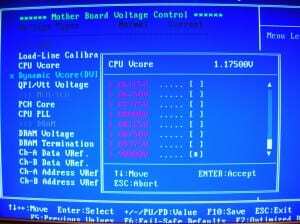 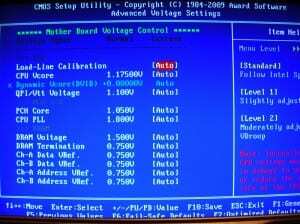 And again, CPU voltage can be lowered considerably, to under 1.4v actually. 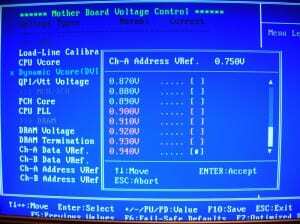 VTT is around 1.36 for this round of testing, and PLL is at 1.82. DDR is still at 1.68v and PCH is still on auto. 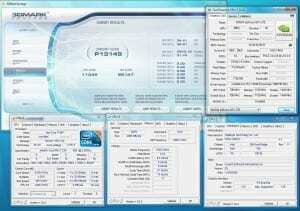 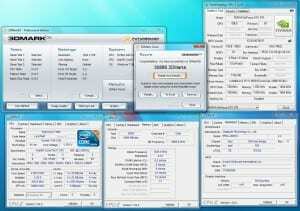 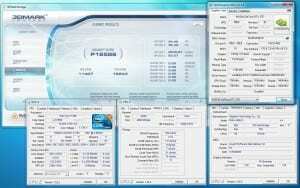 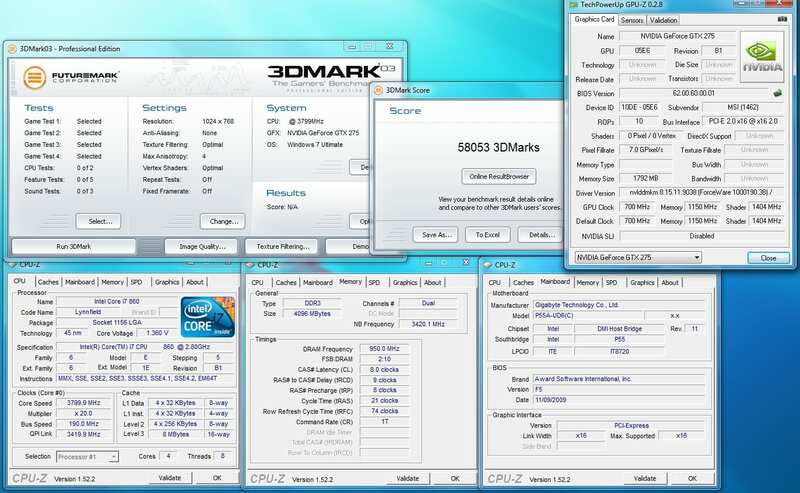 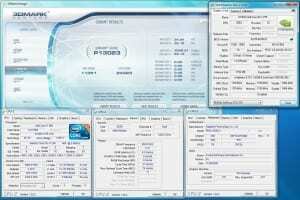 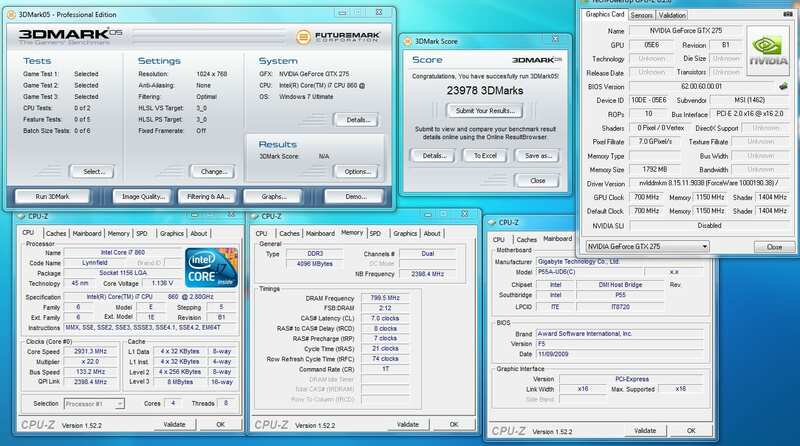 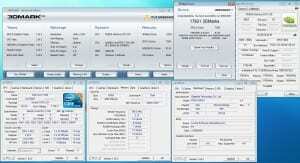 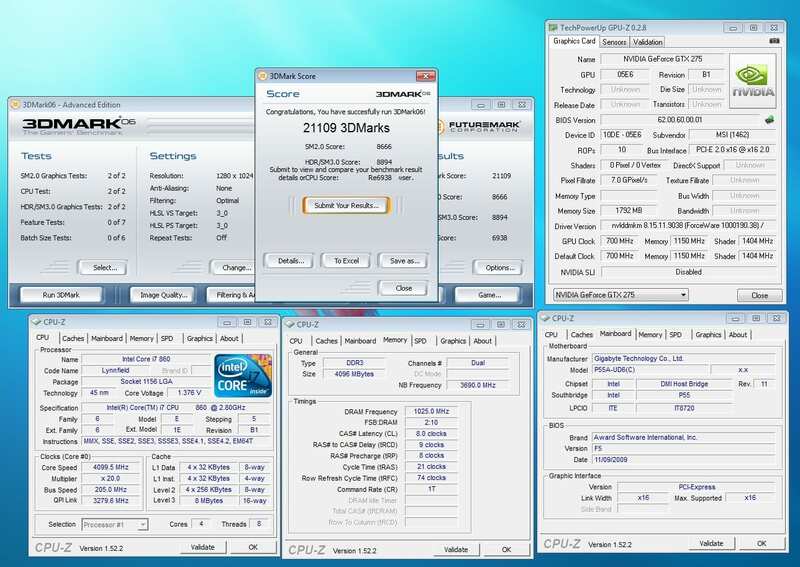 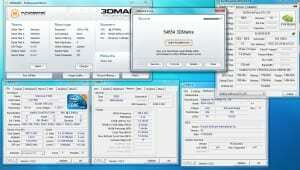 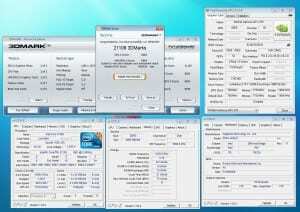 The main reason for this is overclocking on this board is so incredibly easy. 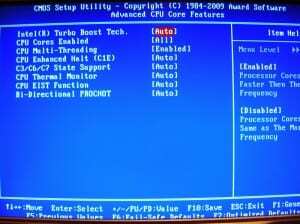 So I just threw some ballpark settings together and they worked great. 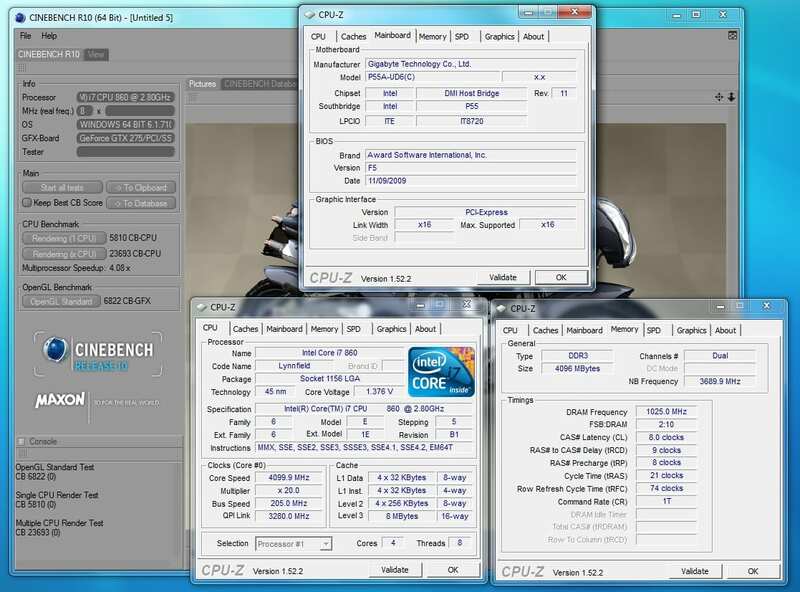 The performance and overclockability of this setup continues to impress me. 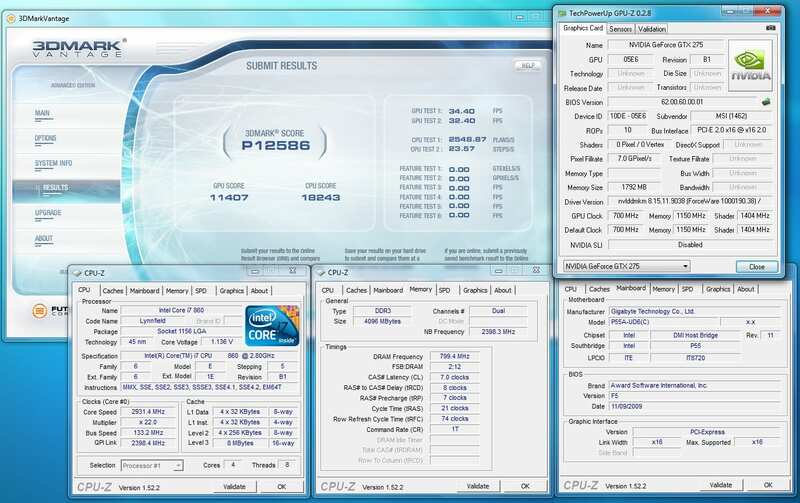 With very little effort, 4.1ghz was like a walk in the park. 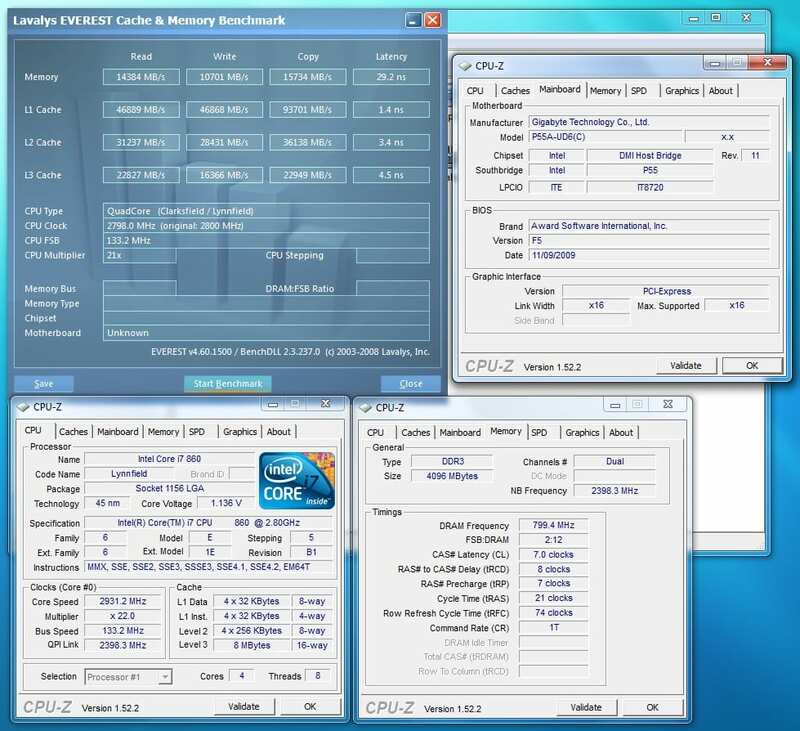 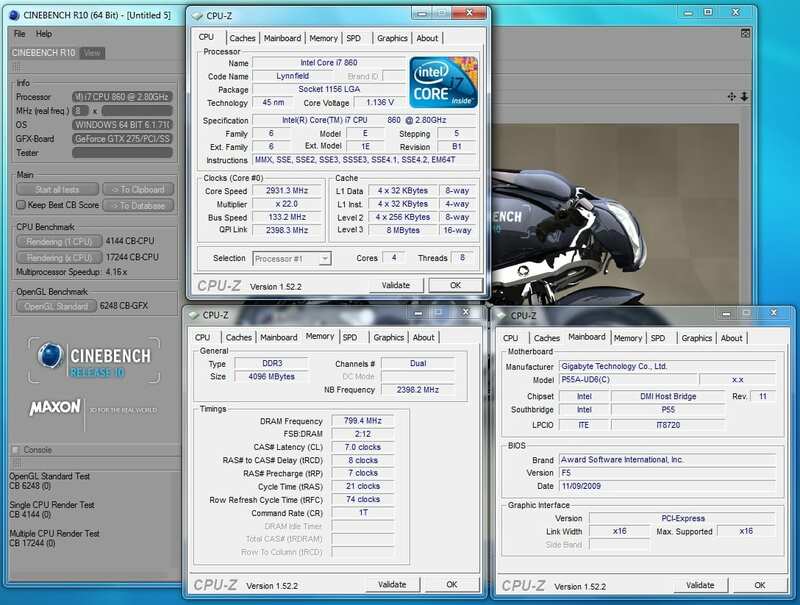 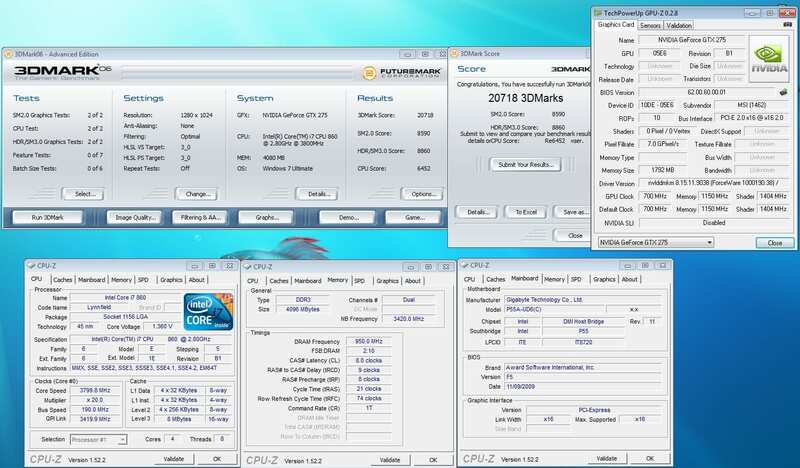 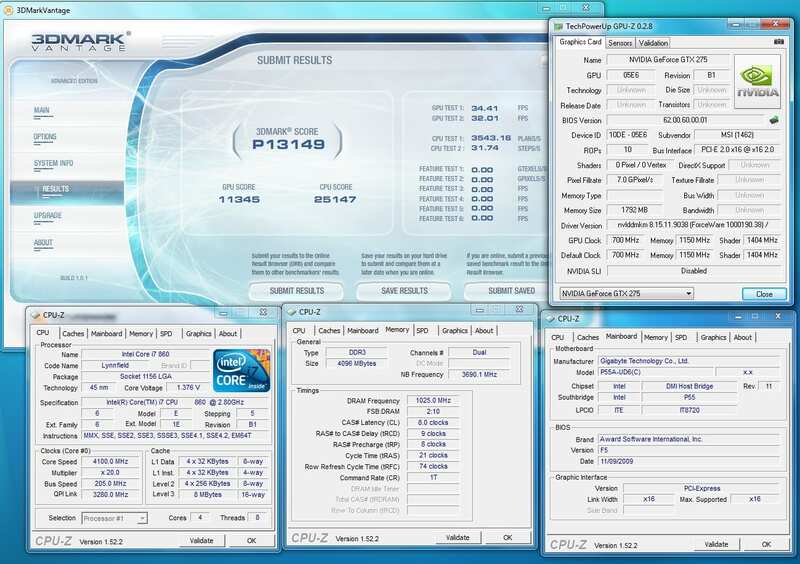 With a little tweaking, I was able to run benchmarks at 4.5ghz (with HT turned off) at right around 1.45v. 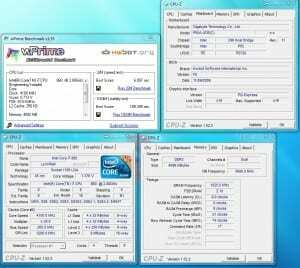 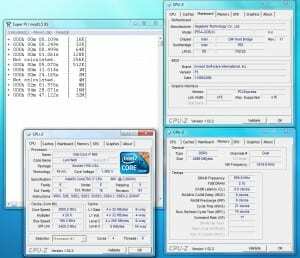 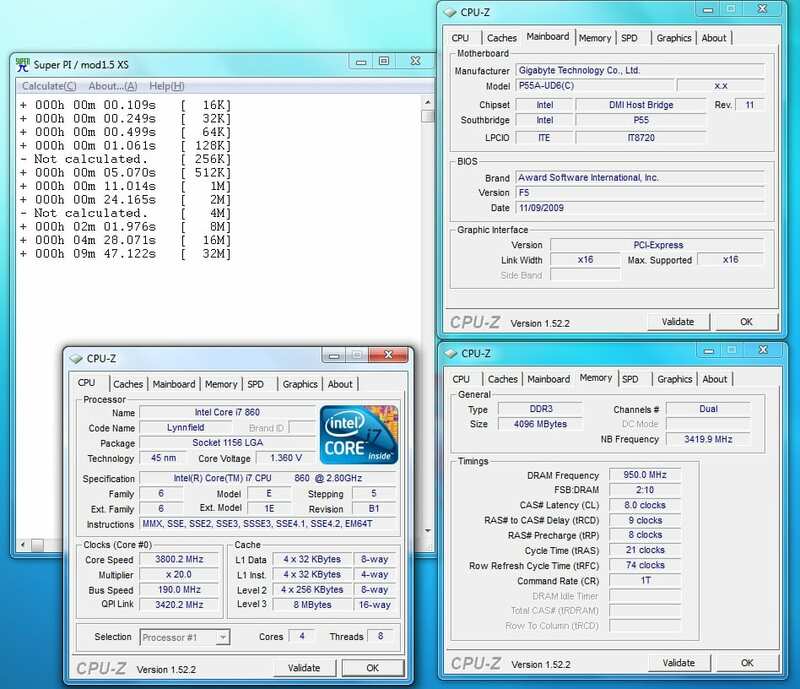 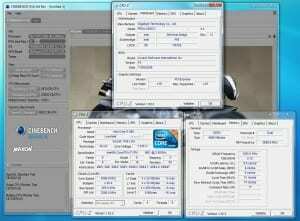 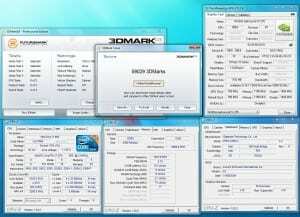 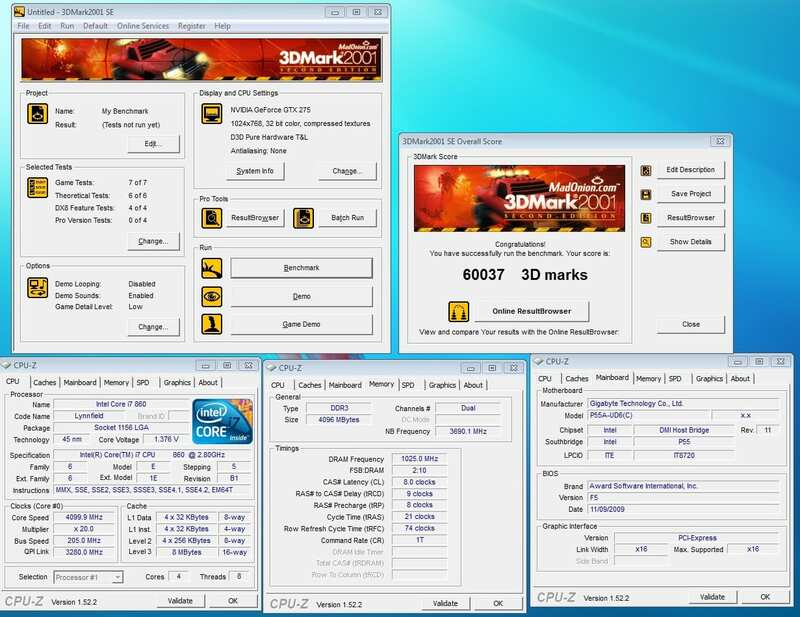 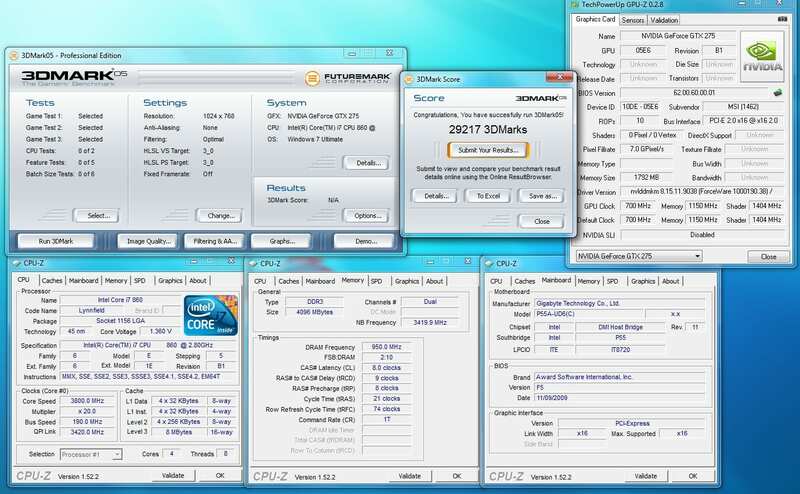 With 1.52v, I could run short benchmarks at over 4.6GHz, even approaching 4.7GHz. 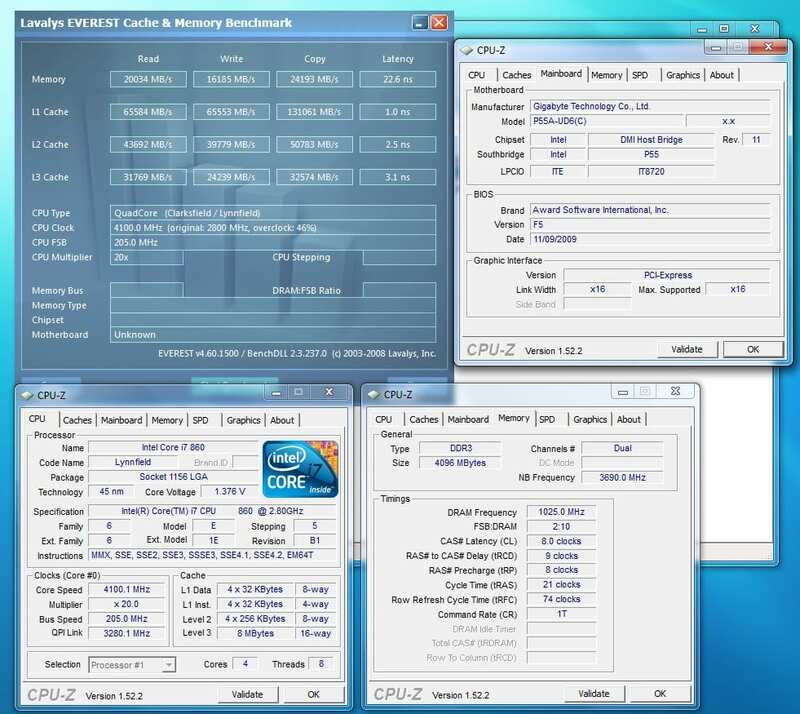 The CPU is the limiting factor in this case, and hopefully another sample will clock even better. 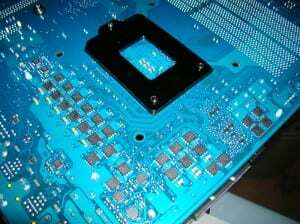 This board features the LOTES socket, and I know that’s a huge selling point for many overclockers out there. 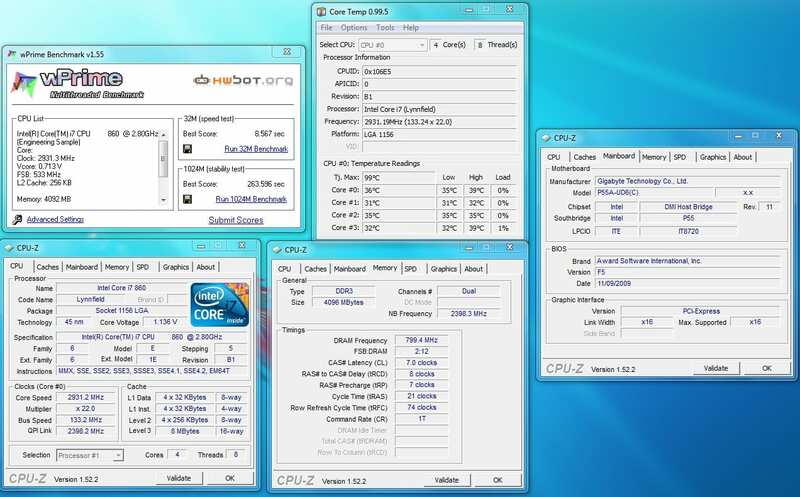 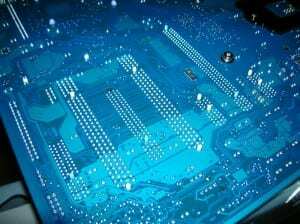 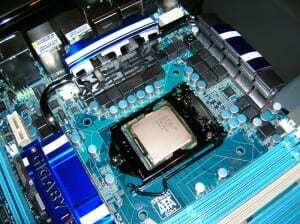 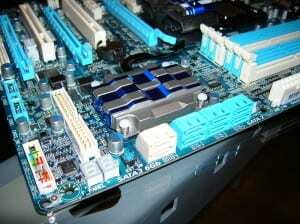 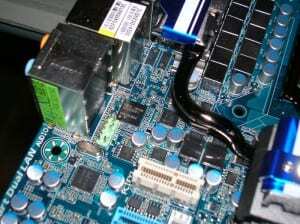 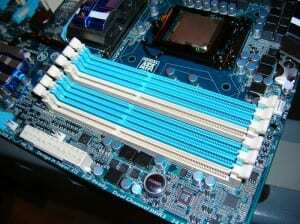 But if you are not using subzero cooling and huge voltages, this doesn’t really affect you anyway. 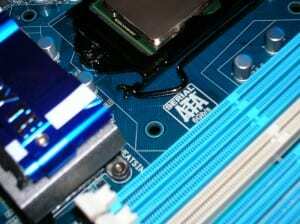 But the black socket does look nice. 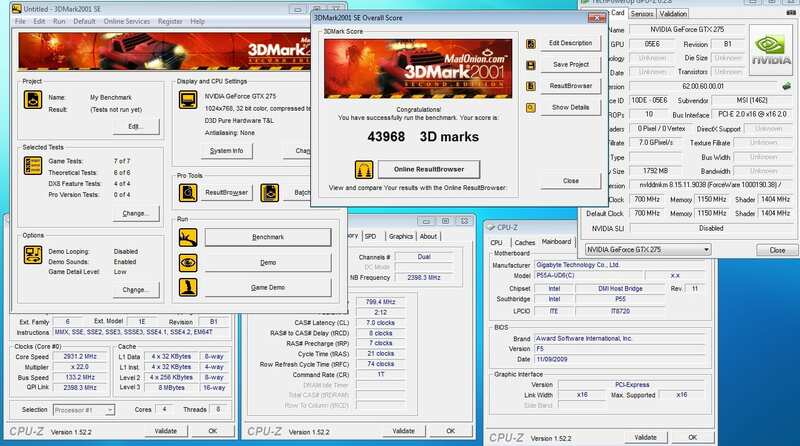 There has been a bit of complaining about Gigabyte’s SATA 3 and USB 3 implementation limiting users to a single graphics card configuration. 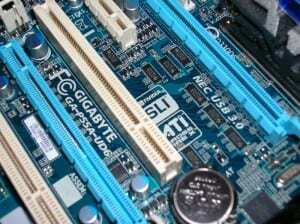 A simple solution is buy an X2 card, then you can have the best of both worlds. On air I’ve had this particular CPU up to around 4.6ghz with HT turned off, and I haven’t had a chance to do any LN2 benching yet. 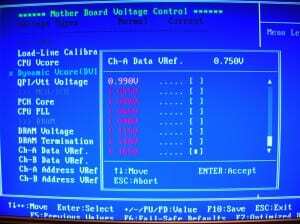 I still have a lot of testing to do on this board. 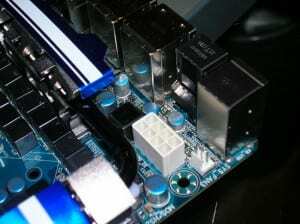 On a platform this fun, it’s easy to drag things out and take your time playing around. 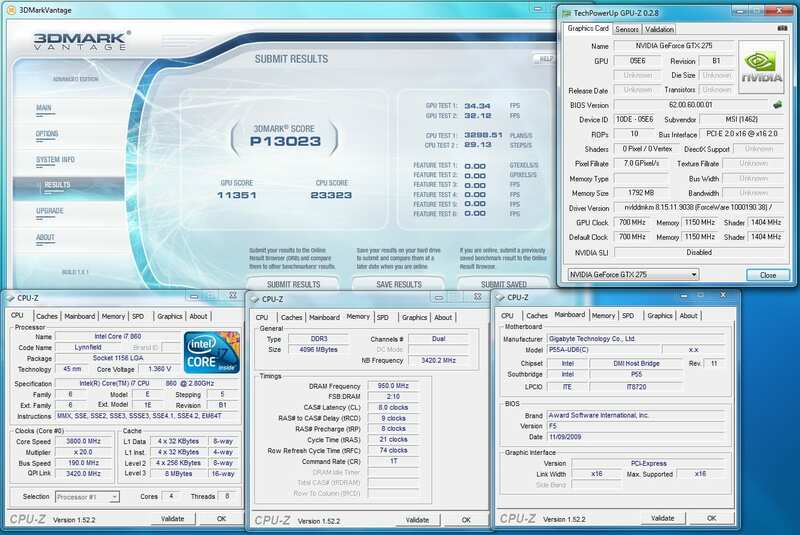 This is obviously a very strong P55 board, just as I knew it would be, and I wouldn’t expect anything less from Gigabyte. 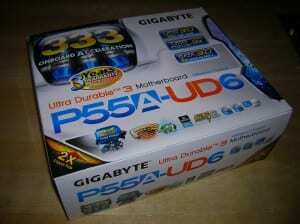 I’ll be adding results to the forum thread accompanying this review, Gigabyte P55A-UD6 Review And Testing, so keep an eye out for that. 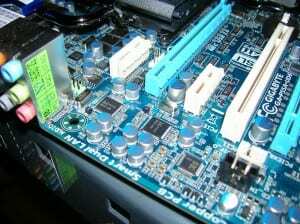 Next Article Forum Wars (Winter Warz) Begins Feb. 1!